As of now the car count for the 2010 Indycar Series season looks to be very similar to '09. So far 9 teams have been confirmed, another 3 highly likely, and 4 more that will probably happen. Of the 10 possible, I see 4 happening with a possability of a few more, putting the car count somewhere between 20-24. After weeks of speculation that the Dan Wheldon was on his way out of Panther Racing, today they confirmed that the 2005 Indianapolis 500 Champion will return for a second season. 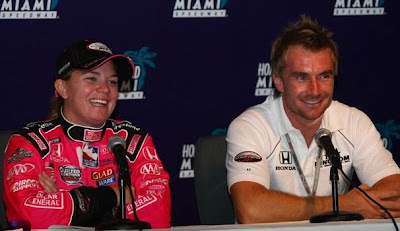 It was widely reported that both Wheldon and Panther Racing were unhappy with the way things were going and that they would part ways fallowing the season Finale in Miami. It's unclear as to if the National Guard will return for a 3rd season with panther, but they say a sponsorship announcement should be made in the coming weeks. "I’m excited for next season, honestly. Anytime I’m out of a racecar for too long I get restless. But I feel like we made some progress towards the end of the season after some struggles that show we’re heading in the right direction. After her Panther Racing Firstone Indy Lights team was shut down fallowing the 2009 season, Pippa Mann didn't know what next season had in store. 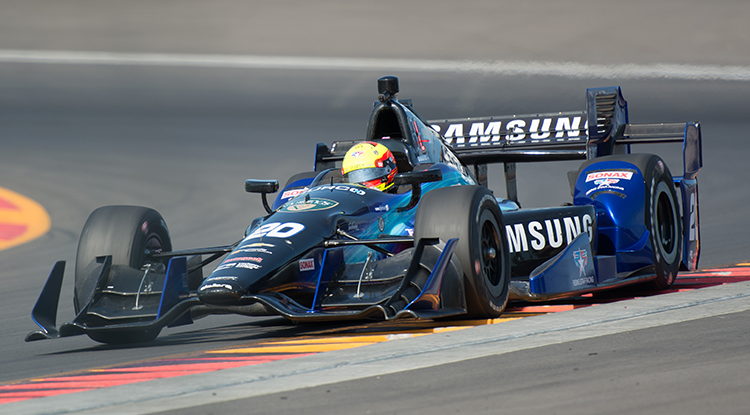 Less than 2 weeks after the season finale, Pippa is set to test for Sam Schmidt Motorsports at Kentucky on Thursday with fellow Brit and brother of Justin, Stefan Wilson. Just a day after the FIL Finale Pippa's teammate at Panther, Martin Plowman was signed by the 2009 Champs, AFS/AGR. Pippa is expected to annonuce her 2010 plans in the next couple months. 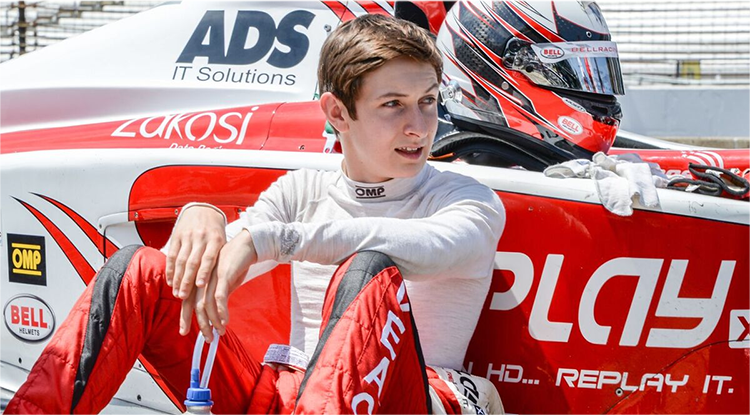 It looks like 18 year old John Edwards and his 2009 Atlantics Championship winning team could be making the jump to the Indycar Series in 2010. As first pointed out by The Other Side, SPEED's Marshall Pruett has written a pretty convincing article. “There are two areas we’re considering, one is GP2 and I’m not as familiar with that series, but we’re talking with people; that would take Edwards overseas again. The other is IndyCar. I wouldn’t try to do it without tailing onto an existing IndyCar team. When I started my team I figured, ‘I’m as smart as anyone else; there’s no reason I can’t built and staff my own team to become a winner,’ and it took four years for that to happen. It gave me even more respect for guys like Carl Haas, Roger Penske and Chip Ganassi to see just how much it takes to build and develop a sound and winning organization. We won’t try to start from scratch. We may join another team if we go that way, and we may use that as something to launch from. Our big concern is if we can keep funding it ourselves. We’ve been almost fully funded by the Nuclear Energy Institute and Entergy. They are interested in our plans and they could be a player, but they haven’t committed at this point. We haven’t put that one to bed yet. After last years incredibly successful Sam Schmidt Paralysis Foundation fund raiser, they're back at it again. 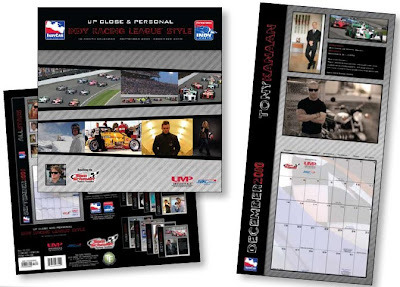 The calendars are just $13.99 and can be purchased online. Bulk discounts are available, e-mail admin@umponline.com for more information. Had enough of the Danica recently with all of the contract rumors? If not, you can catch a 30 minute Danica special this Sunday, Oct. 18th, at 3:30pm on ESPN. Tittled, Peak Performance Fast World of Danica Patrick, "Danica will take viewers on an in-depth look at her recently-completed IndyCar Series season and her life away from the racetrack." The Indy Car Series will finish up the exciting 2009 season this weekend at the Miami Homestead Speedway. For the first time in series history, the site for the season's final race will be held at Homestead. Since Homestead has been on the scheduled, dating back to 2002, it has been the kick off race to season. It takes the finale duties away from the Chicagoland Speedway. It has been over a year and a half since the Indy Car Series has ran at Homestead. Many stories lines head this weekends race, of course the exciting championship finale and among others, drivers look to end the season on a high note, and gain momentum for next season, as others will display their abilities in hopes for a contract next season. Lets start with the championship. Scott Dixon leads teammate Dario Franchitti by five points, and is eight points up on third place Ryan Briscoe. Briscoe lead the points heading into last months race at Motegi, but wrecked in the pit lane, falling him to third in the standings. Franchitti and Dixon have the expereience. 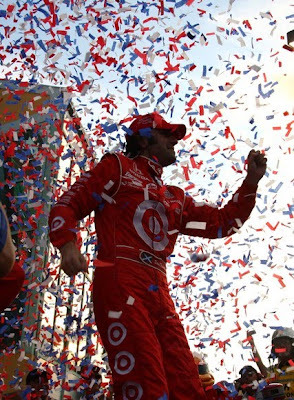 Dario hung out in 2007 to beat Scott Dixon at the final race, claiming the win and his first Indy Car Championship, and last season, Scott Dixon came down to the wire with Helio Castroneves to take the crown, his second of his career, but don't count out Briscoe. We have seen all year, when Briscoe is hot, he is hot. He has 2 wins on 1.5 mile ovals this season, and will be in contention. It is clearly very hard to pick the winner of the championship, it will come down to patience, great pit stops and a little bit of luck. My championship pick. Dario Franchitti. There is plenty more to watch for this weekend. Lets start with Newman Haas Lanigan Racing. 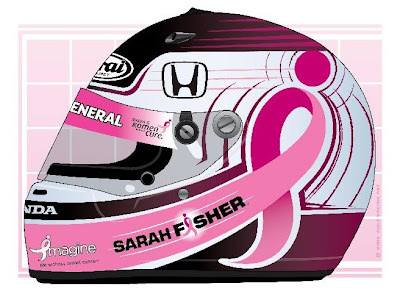 It adds driver Alex Lloyd to its lineup, he will pilot the second entry sponsored by HER Energy Drink, and speaking of pink cars, Sarah Fisher will pilot her new #67 Pink Dollar General Honda to raise awareness during Breast Cancer Awareness Month. Indy Car officials will also be sporting the pink colors. Tomas Scheckter is also a driver looking to get a ride for next season. He has always ran well at Homestead, including 2 Poles in his career there, look for him to be in contention, just like he was at Chicagoland. My pick to win this weekend though is Graham Rahal. Newman Haas Lanigan has won a major open wheel race every year dating back to 1994. I think the streak will continue, with a win in the final race. I think this will be one of the most competitive races of the season, with alot of different strategies being used as teams will have nothing to lose heading into the off season. My dark horses for the race are Tomas Scheckter, Ed Carpenter and Mario Moraes. You can catch the race at 4 est on Versus Saturday afternoon. Also, follow @16andgeorgetown and @tonydonohue on twitter for updates and comments during the race. 16thandgeorgetown.com is also on Facebook and Myspace, so please add us to your friends list. Stay updated through the offseason on our site. Upcoming driver interviews and stories will get us through the long off season. I will also be doing some articles looking back on the past decade of Indy Car races, and more Where Are they Now articles will be posted! Everyone enjoy the final race of the season! 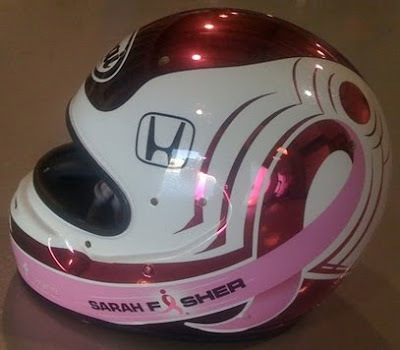 While adding Jay Howard to the 2010 plans for SFR, Sarah will also be expanding her schedule next season. 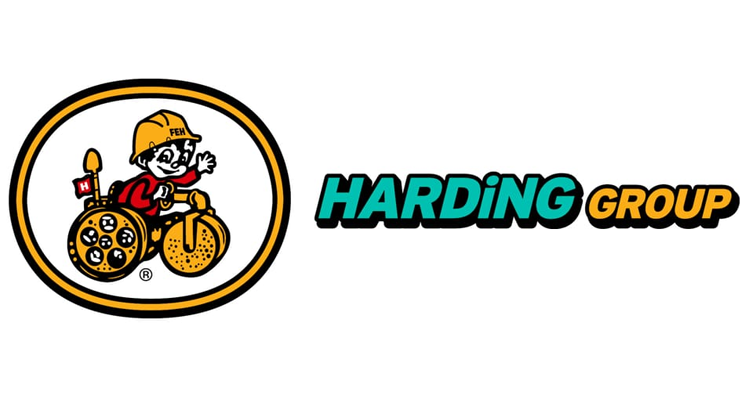 The addition of Howard and Tire Kingdom will also allow SFR to purchase a 3rd chassis. "Jay and I are going to make a great team. Having a partner out there changes everything. We can share data for our cars, and it gives us both an edge for solving any issues during a race. Two minds are always better than one. "You have no idea how good it will be to be back in the car with Tire Kingdom. UPDATE: Howard will run 4 races including Indy, Texas, Mid-Ohio, & Chicagoland using Fisher's old 2003 Dallara Chassis. 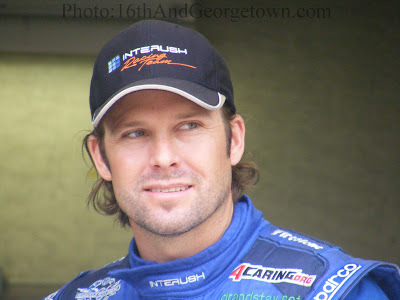 Fisher is expected to run 9 races including both ovals and road/street circuits. According to Curt Cavin, Sarah Fisher Racing has brought on Jay Howard to run select races in 2010. Jay will run the #66 Tire Kingdom Dallara starting at the Indianapolis 500. He'll then run atleast one additional race but no more then 5. Running the first 3 races of the 2009 IRL Season, Stanton Barrett's Indycar career came into question after a rough Month of May. After not making the grid for the 93rd Indianapolis 500 Barrett and Team 3G charged on. Showing up at Milwaukee ready to race, Barrett unfortunately put the #98 Dallara into the wall, injuring his back and rendering the car unfixable. As 3G put Jaques Lazier in the car for the ovals and Richard Antinucci in for the road/street circuits, Barrett sat on the sidelines running stock car races until Twin-Ring Motegi where he finished 19th. As Lazier jumps back into the 3G ride for the season finale, Barrett has announced his commitment to run in the Indycar Series in 2010. "I was looking forward to racing at Homestead. I tested there this spring and really liked it, and I was pumped about going back. We are all working to find the proper sponsorship for 2010 and, like for many other, that's really going to help with more seat time.